Learn to use your POS CRM data to boost engagement! Investing in your customer's lifecycle value is essential to the success of your retail business. Knowing their preferences, habits and history gives you the intelligence to create a customer experience and marketing plan that resonates with them. 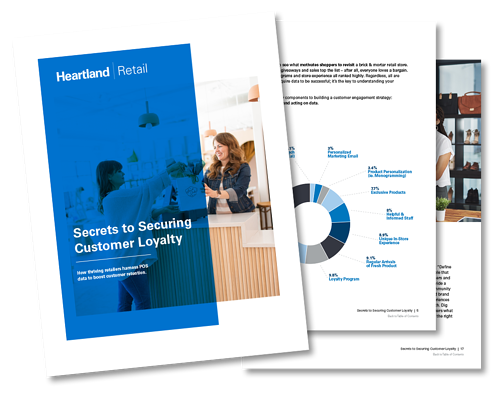 By collecting, analyzing and acting on POS customer data, effective retailers are cultivating brand loyalty and retaining customers. ... how to keep customers happy and loyal! Springboard Retail POS gives you a 360° view of your customers across all your channels, so you can engage with them intelligently and thrive! Springboard's easy-to-use customer relationship management features help your team do what they do best: make customers happy. With custom fields and reporting, customer history dashboards, integrations with top engagement and loyalty platforms and portability across devices, Springboard is quick-to-start, user friendly and revered by customers nationwide for making their jobs easier.